Today the experts of food industry are working on creating the newest developments in sport nutrition. 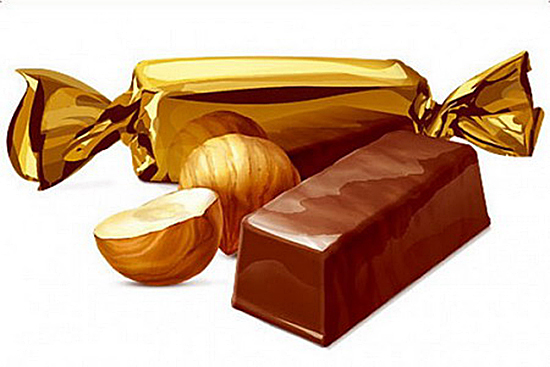 The latest invention is the candies for sportsmen. The significant part of scientific research was made at Luhansk Taras Shevchenko National University. The recent development is candy “Triumph” and “Power Secret”. These two sorts of confection have great influence on sportsman’s organism – they improve working efficiency, increase hardiness, conduce restoration of organism in the condition of high body burden. The authors of useful sweets explain: “Candies are based on all-natural materials contained of functional ingredients. For instance, guarana – it is the best natural remedy for refreshing after loads and trainings”. They told at LNU that such candies were for adults and children over the age of 14. “It’s not only for sportsmen but for everyone who has high physical activity. In this case the candies keep the body in good shape. But mainly the candies are intended for the sportsmen. The candies may be consumed as the additional nutrition. We recommend to eat one sort of candies before the training and the other one – after it”, – explained the university experts. At this stage developing team is working on creating alternative ingredients which will be available for the customers. “We decided to change walnut to peanut. The taste will be the same but the price will become more affordable. Besides, the availability of some components became impossible so we had to find the adequate change which saved the functional orientation of our sweets”, – noted the inventors.